In League, everybody is trying to kill everybody else. 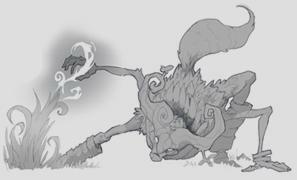 Despite their personalities or backstories, champs are all really on the Rift to do one thing: drain some health bars. 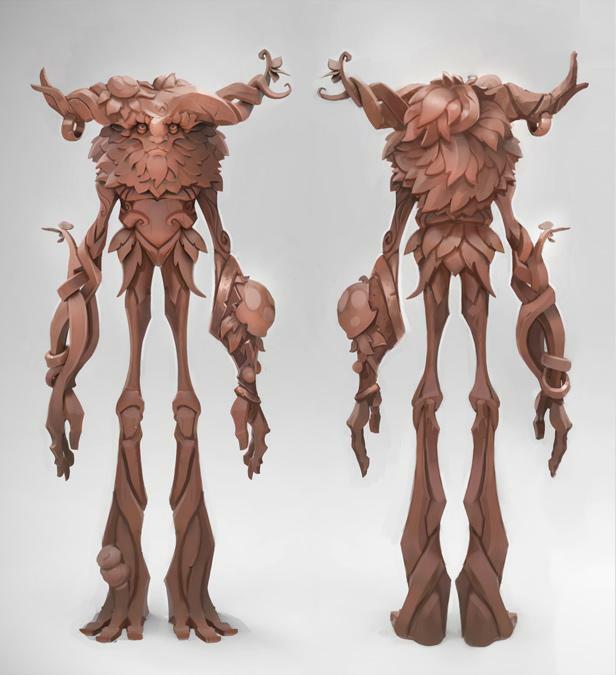 We struggled with figuring out a way to communicate that Ivern was "freeing" the monsters in the jungle, instead of abducting or vaporizing them: In early builds, his groves looked like flowery death machines which sapped the life force away from camps. 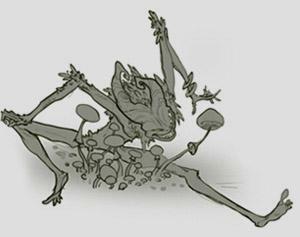 He'd come prancing over, click on the grove, and the critters would fade away like little Jedi ghosts. 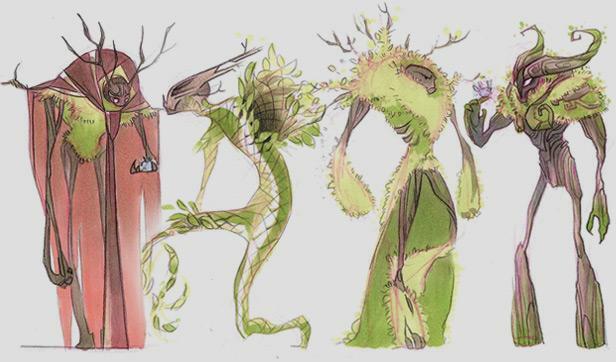 In early designs, Ivern had no way to give a buff to his allies—it's not like he'd be willing to leash it for them. 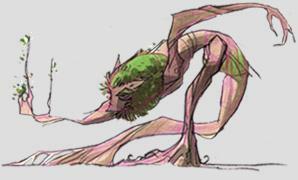 But the whole idea behind the Green Father is that he wants to share the gifts of nature with others. "What are the gifts of the jungle?" asks champ designer Blake "Squad5" Smith. "Buffs!" 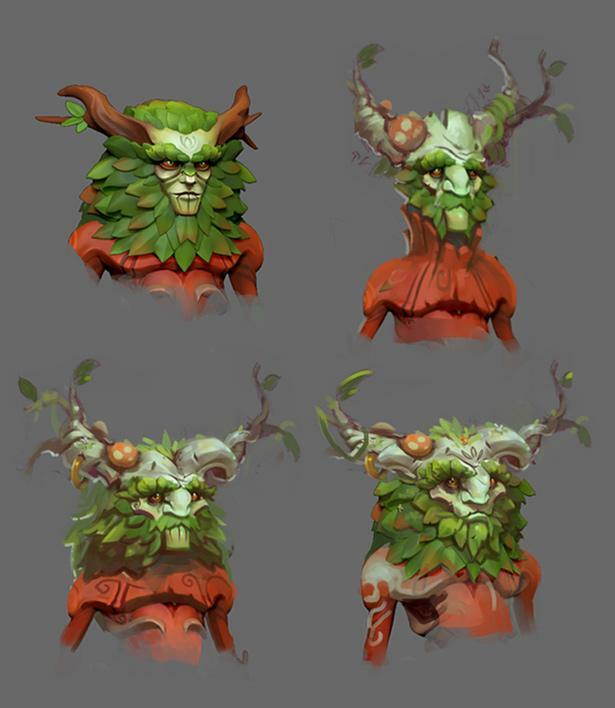 The natural solution was to let Ivern create copies of buffs without causing harm to the camps." 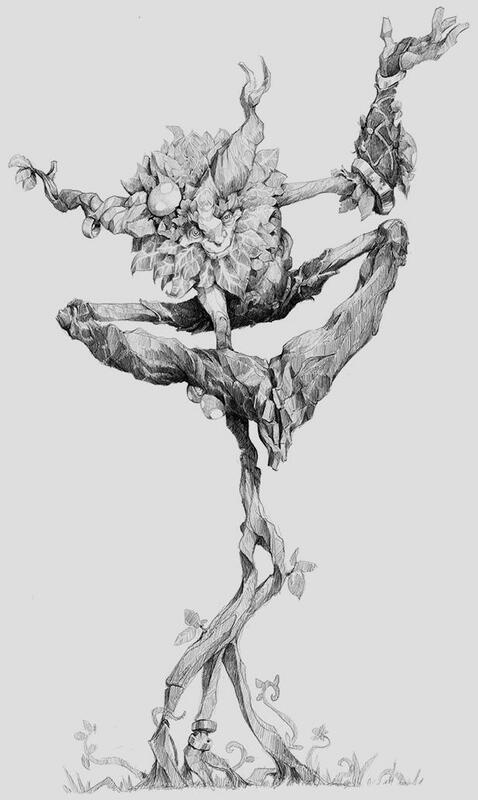 Smash your taunt button while playing as Ivern, and you'll find he doesn't have too many zingers or insults to throw at other champs in League. Instead, he says nice things to everyone! 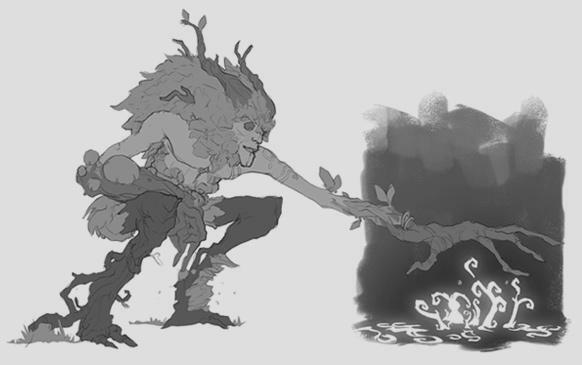 When he taunts an enemy Maokai in-game, he makes a joke about cosplaying as a sassafras at next year's tree con. 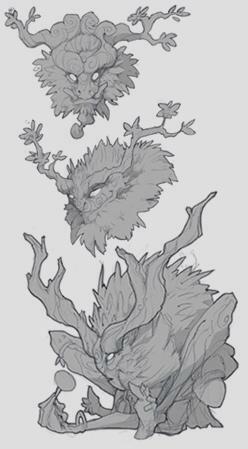 Ivern has emerged from the Kumungu jungles and is now freeing jungle monsters on the PBE. He'll prance over to the live servers soon.